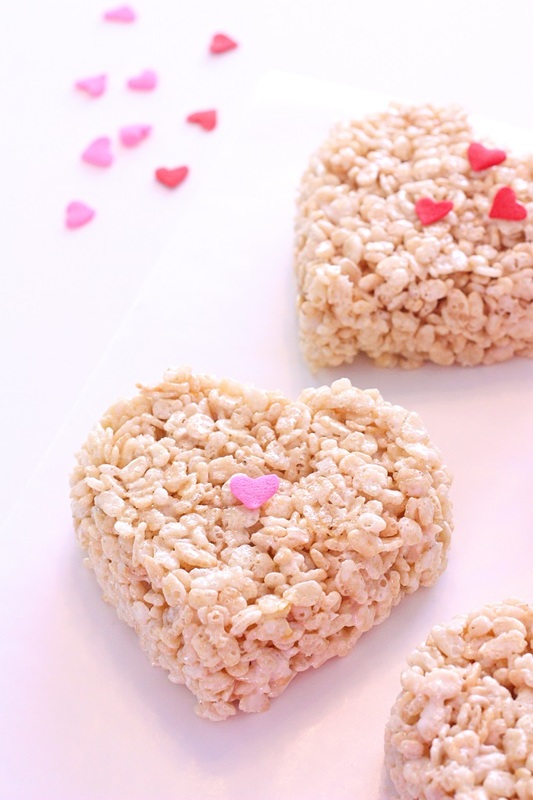 Valentine’s Day is almost here, and for me that means valentine class parties and Rice Crispies Treats! 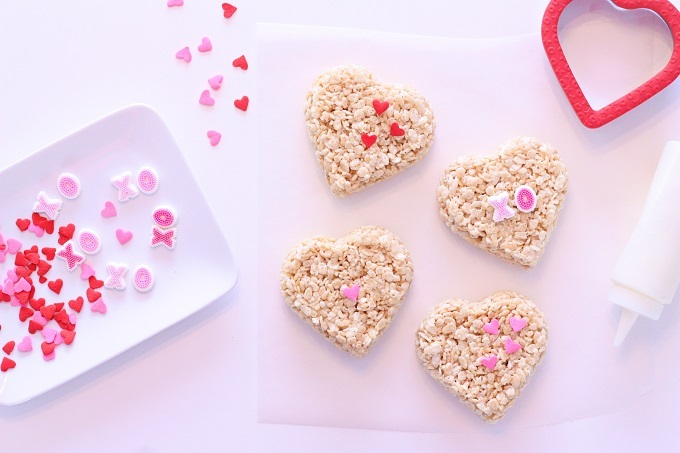 They’re a family favorite and can be just as versatile as sugar cookies with the right cookie cutter. Hi everyone! 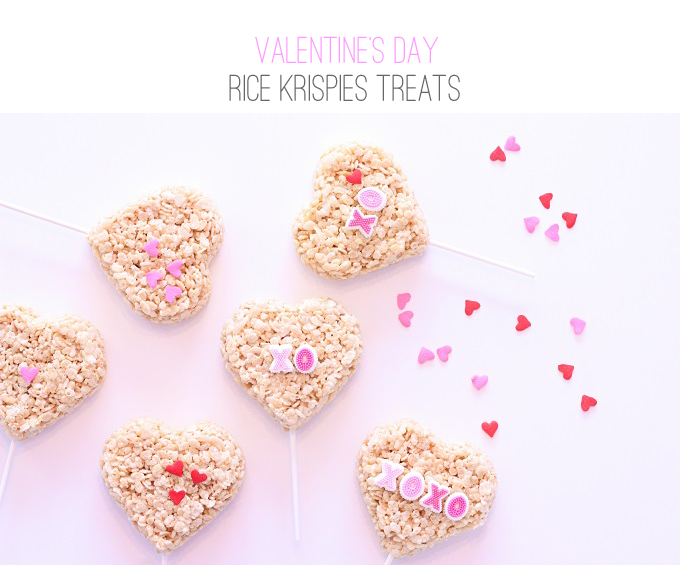 I’m Kim Byers of The Celebration Shoppe and here’s an easy idea for those last minute Valentine treats. 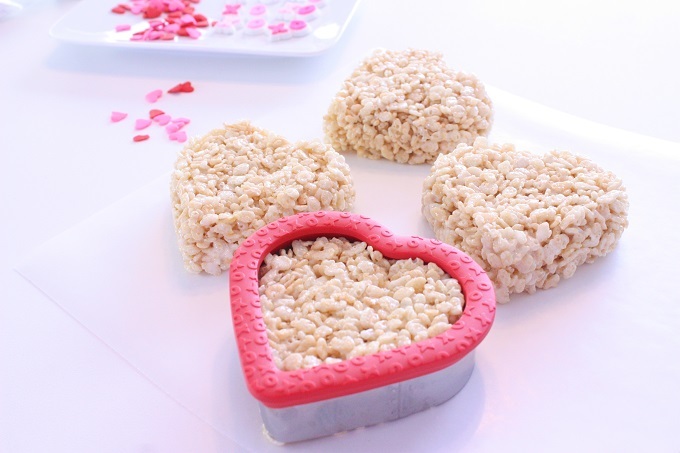 Make Rice Crispies Treats – Prepare Rice Crispies Treats per the box recipe. Butter cookie cutter and your hands. 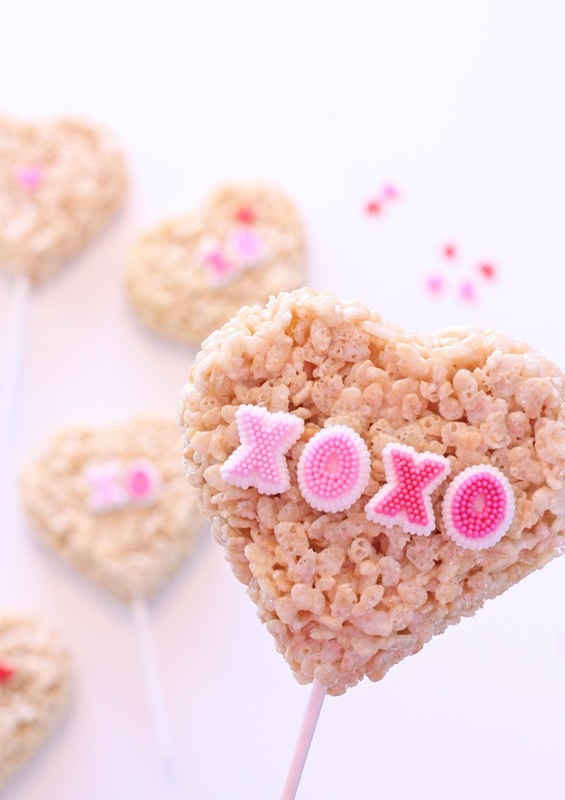 While treats are still hot, mold them in the cookie cutter on top of wax paper. After 10 seconds you can remove the cookie cutter and move on to the next treat. 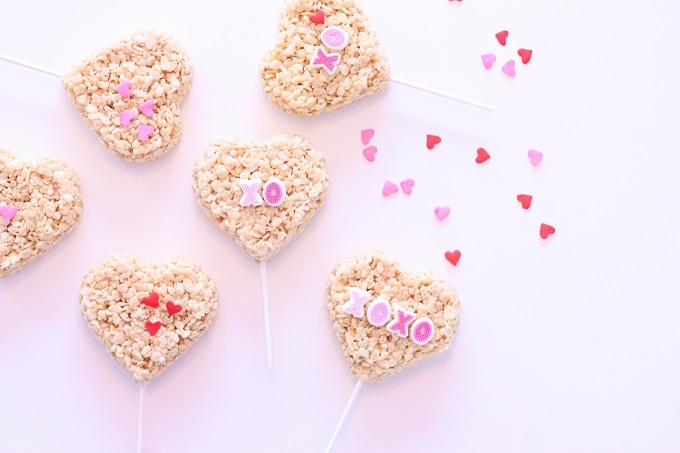 Cool – allow each treat to full cool, for at least 30 minutes. 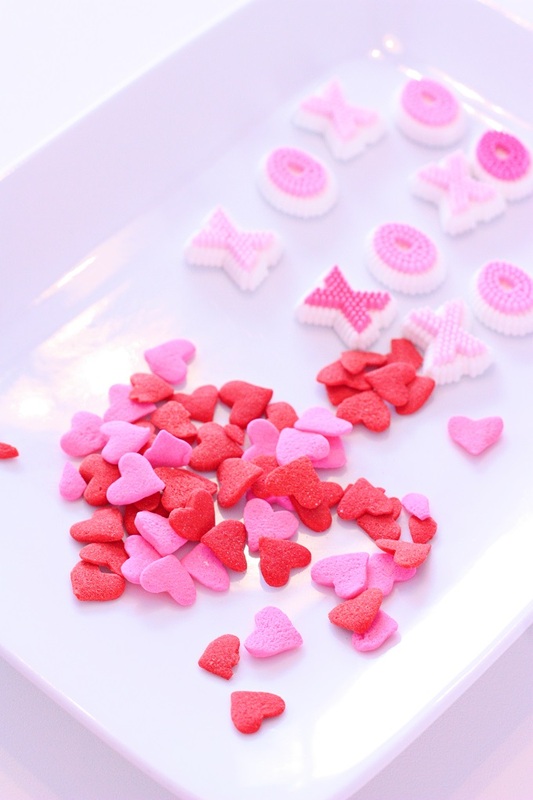 Decorate – pipe a small amount of icing onto the back of each sprinkle and apply. 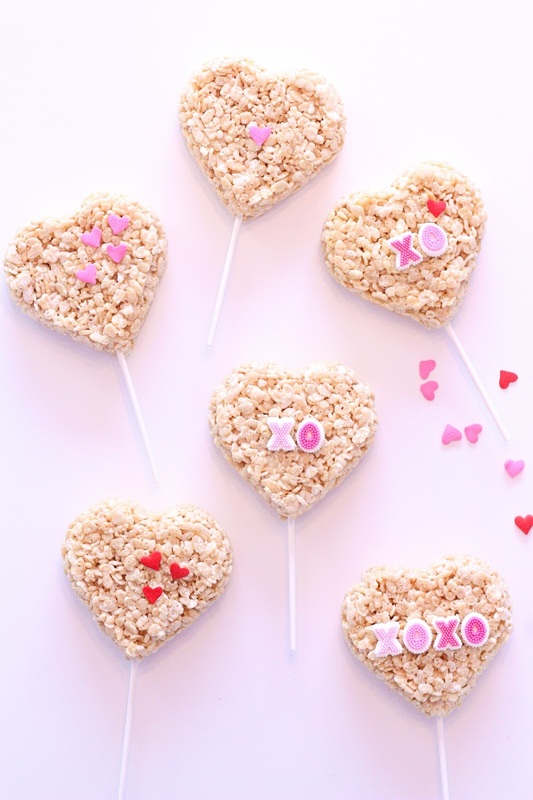 Lollipop sticks – insert lollipop sticks. 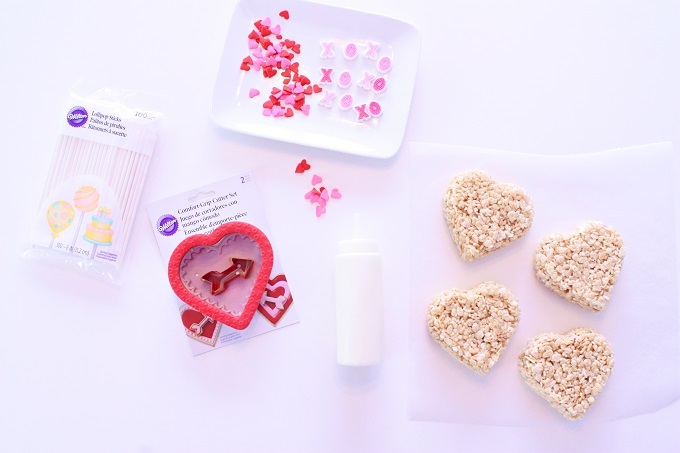 If you’re hosting a Valentine’s Day party or taking treats like these to a class party, I recommend you package them for easy sharing. 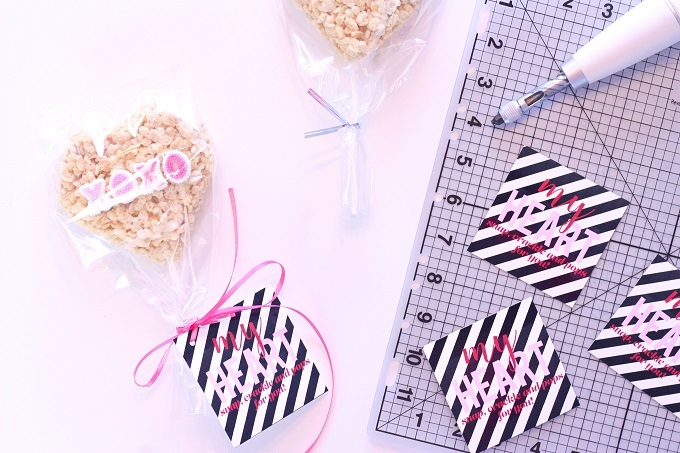 Simply insert each Rice Crispies Treat into a gusset cello bag, tie and add a fun Valentine’s Day tag. 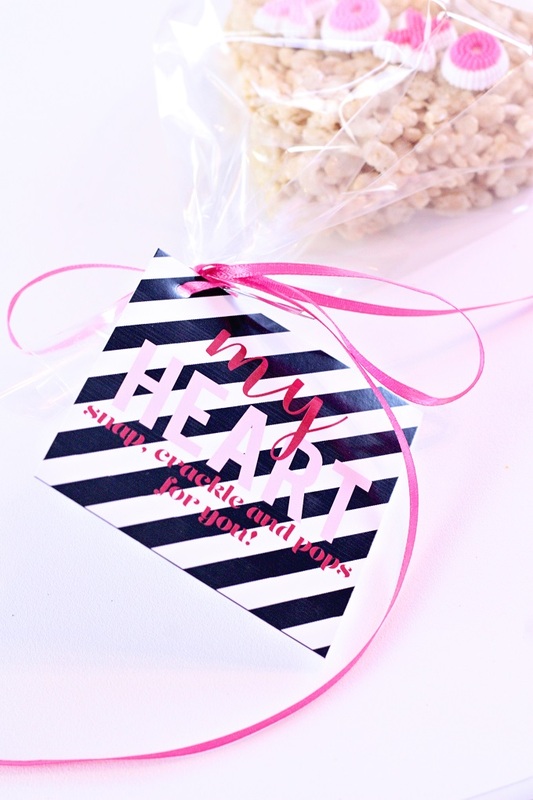 I designed these free printables with a fun little pun “My Heart Snap, Crackle and Pops For You!” Download yours now!